When I was in the first grade, one of my major homework assignments was to create a fire escape plan with the family complete with an emergency meeting point and optional escape routes. Then we had to give it a test run to ensure it worked. I remember just clearing the rose bushes as I leapt out of my bedroom window and then gleefully racing my brother and sister to our emergency meeting point which was the mailbox at the end of the driveway. The purpose of the emergency meeting point was to make sure everyone got out safe and so you had no concerns. If something crazy happens to all the lean protein in the world, my house will be the emergency meeting place for all competitors. 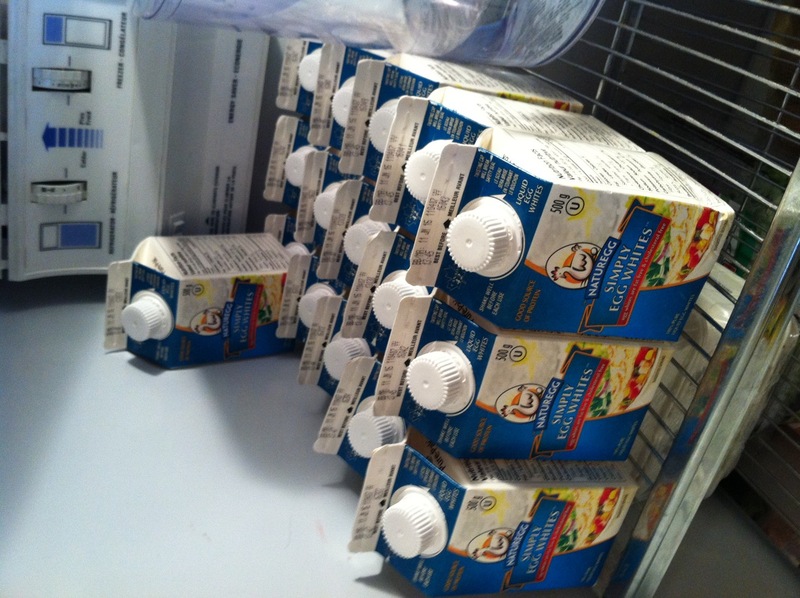 I also have chicken and cod in the freezer. We could last for DAYS on this! It may be slightly over the top, but I am definitely prepared! I share this to ease any concerns that you may have about a depleting source of lean protein; I’ve got you covered! What do you hoard in case of an emergency? Nice you are the official emergency location for America. PHEW! ANd then i have the girly hoarding problem: Lotion, perfume and makeup. Do I really need 12 bottles of lotion? Yes. I’m always in the sidelines, barely commenting, but always reading long before. I dig your site and in the many ways you express yourself with humor and heart. 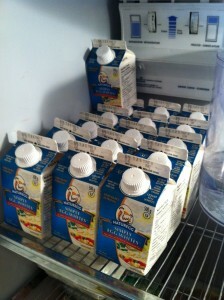 The most cartons of eggwhites I am “allowed” to keep in our fridge is six. House rules. I stock up on fats… PB, Almonds, I have a HUGE jar of brown rice. We have a freezer full of beef & portioned out ground turkey (and bacon, but that’s a horse of a different color). But we live out in the country where this is necessay (<—- not really lol). I wish I had the ‘we live in the country’ excuse. I live smack dab downtown with 2 grocery stores within walking distance…. QUICK! Come to my house STAT!!! I have egg whites, yams, chicken, fish, quinoa, rice, and many other fabulous foods you can eat. I will make them for you on my stove that is working.